When I worked at a summer camp during college, we always used to throw around the phrase “pack your suitcase full” when encouraging campers to spend their days forming relationships and developing skills that they could take with them when camp ended. In a lot of ways, I have felt like a kid at summer camp during my time at the museum. Everyday I am doing something exciting and new and fun. I am learning and I am excited about it. Because our mentors have done such a good job providing us with both scientific opportunities and time to work, I return home completely exhausted every day but also psyched to do it again. During our presentation at the Daily Planet, we talked about ways that we planned to bring our scientists’ projects to our classrooms and others around NC. While I have thoroughly enjoyed the opportunities to have fun learning, I also acknowledge that I am here for more than just my own benefit. 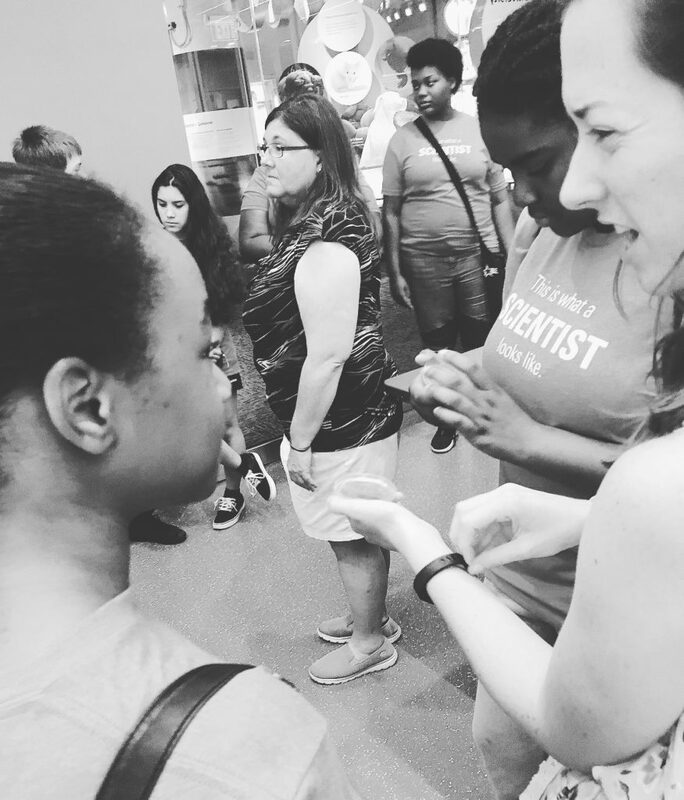 I am responsible for applying the experiences and research in the ant lab to my own classroom and the classrooms of teachers across North Carolina. When I remember that the lessons that I’m developing are meant to be accessible for all classrooms regardless of resources or student ability levels, I feel a bit overwhelmed. At the museum – and generally even at my school in Raleigh – I have access to pretty much any scientific material that I request. However, the same cannot be said for students and teachers in other parts of North Carolina, including in the county that I formerly taught in. 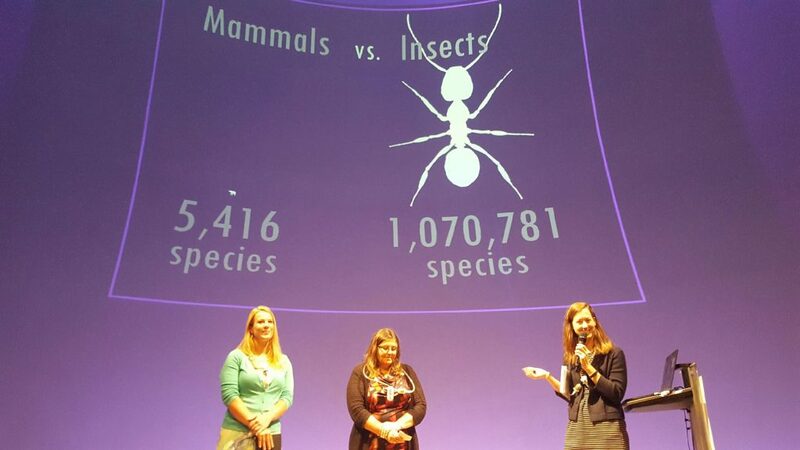 Despite the resource disparity, I feel strongly that ALL students should have access to opportunities for real science, and the teachers on Team Ant with me feel the same. It’s challenging to think about alternatives to some of the materials that the current projects call for (think rose bengal agar, aspirators, and even 1-to-1 technology access) it’s worth the extra effort to make these projects something that any classroom can be a part of. Because Maggie, Michelle, and I teach in schools that each have different resources, we are all able to offer each other insight on what may or may not be available in different classrooms. It’s awesome because we’ve ended up creating several different versions of worksheets and assignments depending on computer access as well as alternative material lists so that teachers can make it work. During our last week, we got to give lab tours to two different groups. This one was rising 9th Graders. Here I’m explaining how the Invisible Pathogens project works. It was awesome to meet some students who might benefit from the projects we’re working on. I’ve had a phenomenal time in the lab this summer and I can rest knowing that I’ve packed not only my own suitcase but also those of teachers and students across North Carolina who will possibly use my lessons and experience the magic of the Ant Lab by extension.